Thailand is a seriously popular destination for first-time travellers to Asia, embracers of different cultures, and beach-bums. It is often the first stop, or a last one, on a Southeast Asia trip, and it has a little something for everyone. From lazy beach days to some remarkably exciting water-activities! What’s really and truly worth every free second you can manage to scrape together, are the AMAZING beaches of Koh Lanta! Known for its chilled out way of life, and long sandy shores, this lovely island off the coast of Krabi has so many beautiful beaches to choose from! So if you’re looking for the best beaches in Koh Lanta, then you’ve landed on the right page! Here are some things that you should know before you venture out to the Koh Lanta Beaches. The two major ports from where you can get a transfer to Koh Lanta are Phuket and Krabi. 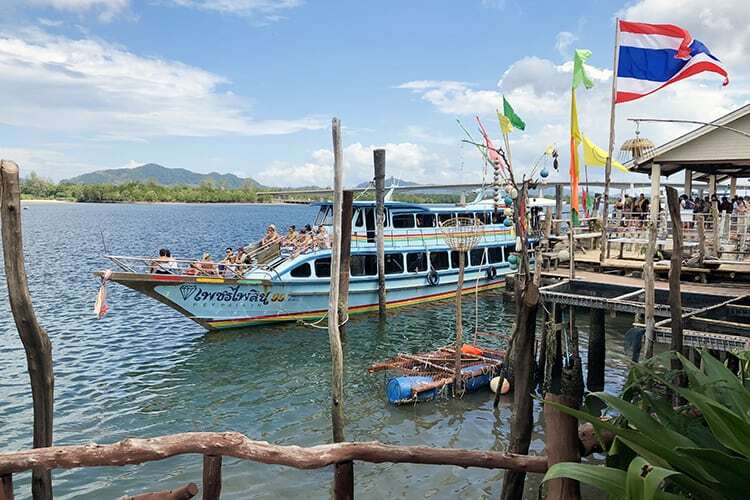 Depending on which route suits your itinerary best, here are our detailed guides of how to get from Phuket to Koh Lanta and how to get from Krabi to Koh Lanta. 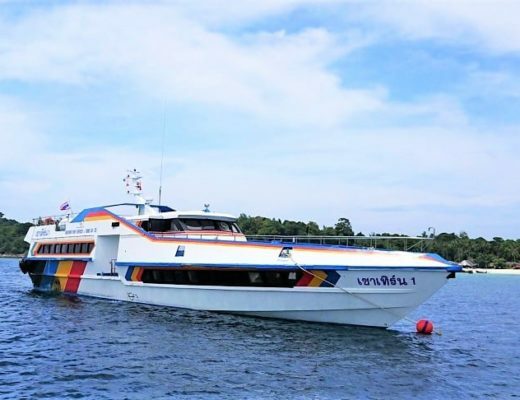 If you are island hopping as we did on our trip, you might be interested in checking out our detailed guide on how to get from Koh Lipe to Koh Lanta instead. With so many beautiful views, fun swimming spots, and sunbathing opportunities… How do you know which Koh Lanta Beaches are the best ones? Well, that's where we come in. Here is the list of our top 5 beaches in Koh Lanta to give you an idea of just how amazing they are. So, without any further delay, here are our absolute favourite Koh Lanta beaches, in no particular order, however, feel free to guess which beach is whose favourite! A beach that seems to stretch on forever and ever. It’s so long, that there never appears to be many people. Being such a popular beach though, that is just simply not true. There are always loads of people on Long Beach, however, it never feels that way as they're always able to spread out. 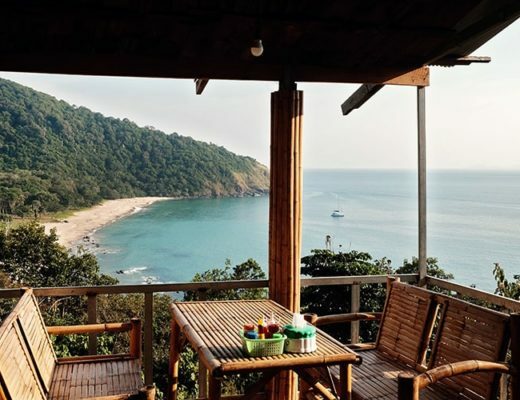 Along Phra Ae Koh Lanta, you will find several Koh Lanta luxury chalets and some really stunning Phra Ae Koh resorts – once again – really spread out. This is a beach known for ultimate privacy. One thing we really enjoyed was the fact that there weren't any umbrellas or sun chairs cluttering the beach – it’s a real ‘bring your own towel, and feel the sand between your toes kinda beach’. Up for some adventure? This is a great beach for horse riding, and the best part is that you don’t need any experience to enjoy this activity. Pirates horse riding is the place to go, and the man who owns the place is super cool and very obviously has a great love for his horses! If you’re looking for a beach that looks and feels as if it’s never hosted a single tourist… this beach ticks all those boxes. 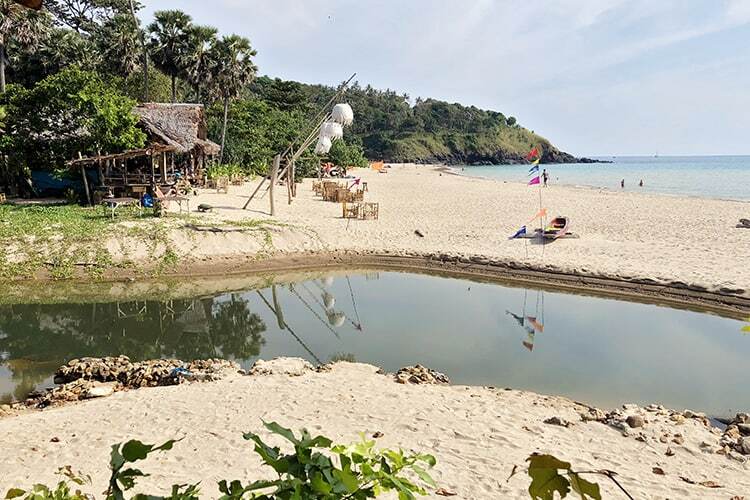 This cove at the southwestern curve is known as one of Koh Lanta's best beaches for its beautiful beachfront, very few people and loads of space. The water is perfect here, and if you’re near this area – it’s not a beach you want to miss! While this beach may not exactly be the right spot for big partiers, it is absolutely perfect for quiet travellers, for romantic couples, and for families with children. There is also a little restaurant at a lookout point on the way to the beach. Great place to stop for a refreshing drink (we didn't eat here, so can't comment on the food quality). You might be interested in staying in this little hideaway Bamboo Beach resort. This is such an incredible place! The beach is magnificent, there are a couple of nice resorts to pick from and even a great little bar which has a fire show every night. 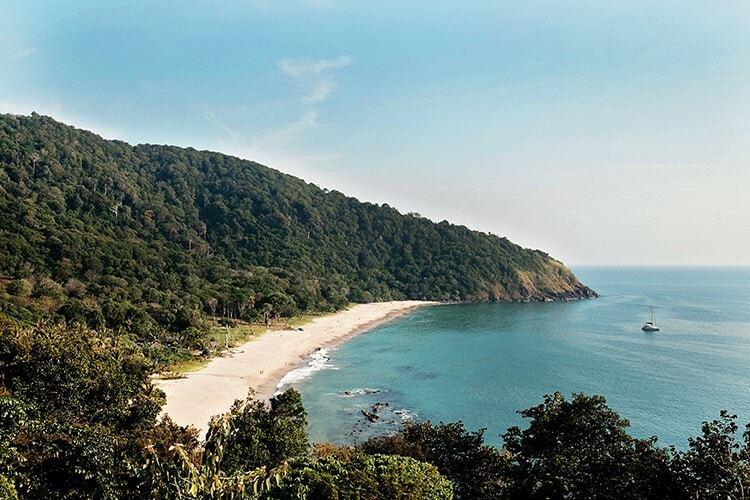 Beautifully surrounded by hills, this curvy beach has crystal clear blue water, and it’s only accessible from a few points. This beach has a really great atmosphere and compared to some other beaches on the Island, it’s really not crowded at all. We loved watching the sunset every night at the rustic Cliff Sunset Restaurant. The views from there are truly wonderful and the cocktails are cheap and pretty yummy too. If you are after some food, we recommend the Bay Front restaurant for a Jungle Curry if you’re after a place that doesn’t hold on the spice! This beach offers some amazingly beautiful and safe family swimming as you have to go quite far out before you reach deeper waters. There are so many places to eat and drink along Klong Nin beach too. If you’re a lover of pretty colours and taking pictures, then this beach offers some of the most stunning sunsets we’ve ever seen. 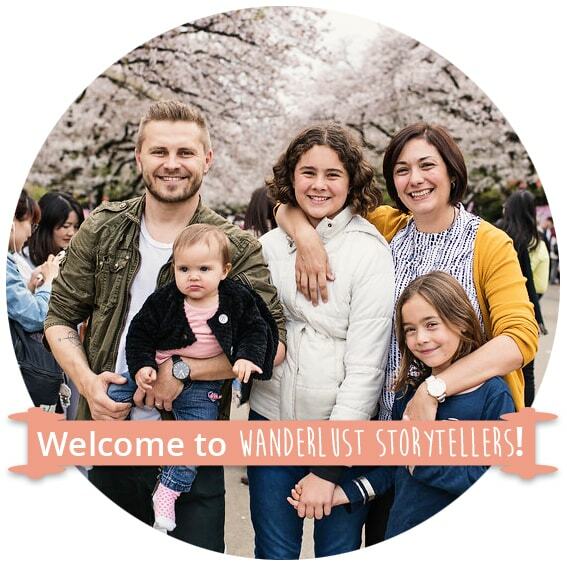 Water babies and adventure seekers, listen up! Anti Gravity Divers is PADI 5-Star instructor development dive resort at Klong Nin beach. 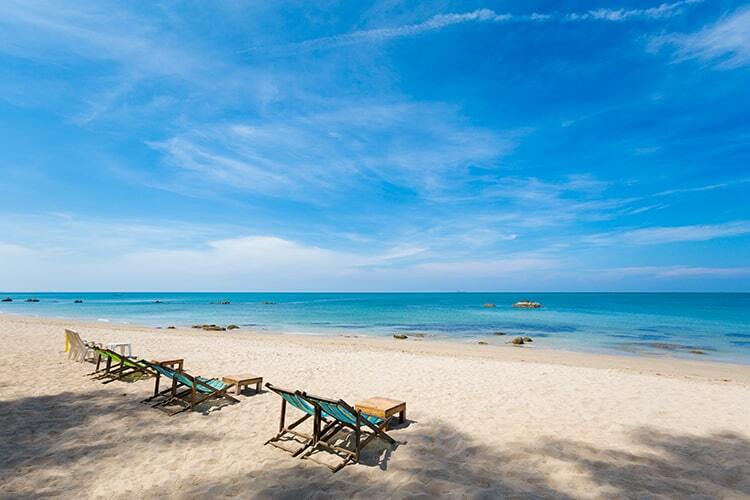 They offer exciting scuba diving, snorkelling, and even free diving in Koh Lanta, departing from this beach! Don’t forget your GoPro wrist strap mount for this exciting adventure! On the beach, you’ll find massage beds too. Did someone say heaven? 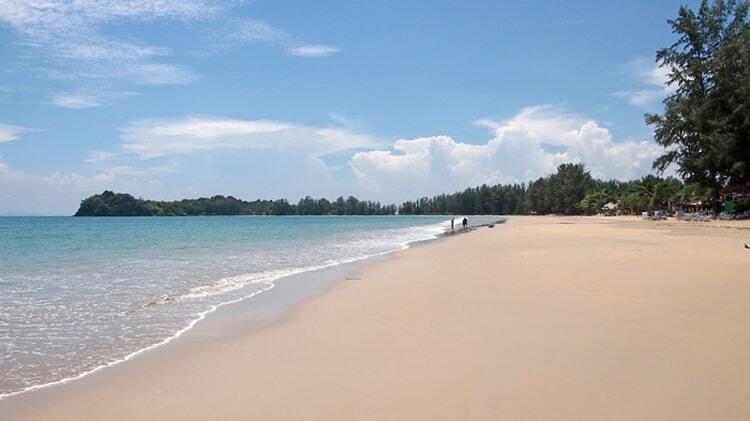 This is one of the most beautiful beaches on offer in Koh Lanta. The almost white sand is soft and there are no rocks to be seen. This is the perfect beach for catching a tan, with very few trees casting any shade. During low tide, Khlong Dao beach becomes seriously wide. Also, the water is really, really beautiful and gently sloping, so the swimming conditions are great – especially for kids. 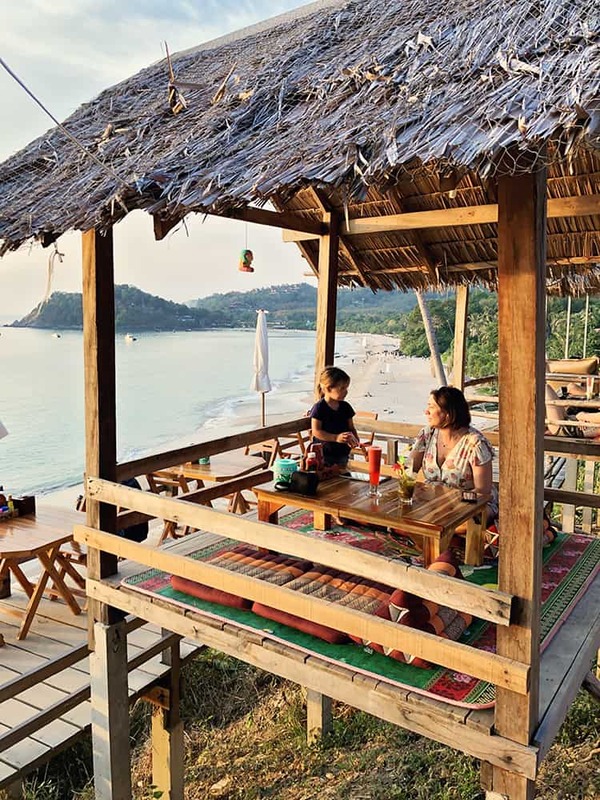 Khlong Dao beach is by far more of a family place, and while you’ll find plenty of bars along the beach, they are more relaxed and suited to a relaxed-sunset watching kind of night, rather than a full-on party. So whether it’s an exciting day filled with volleyball, boat rides, snorkelling, swimming, and diving you’re after. 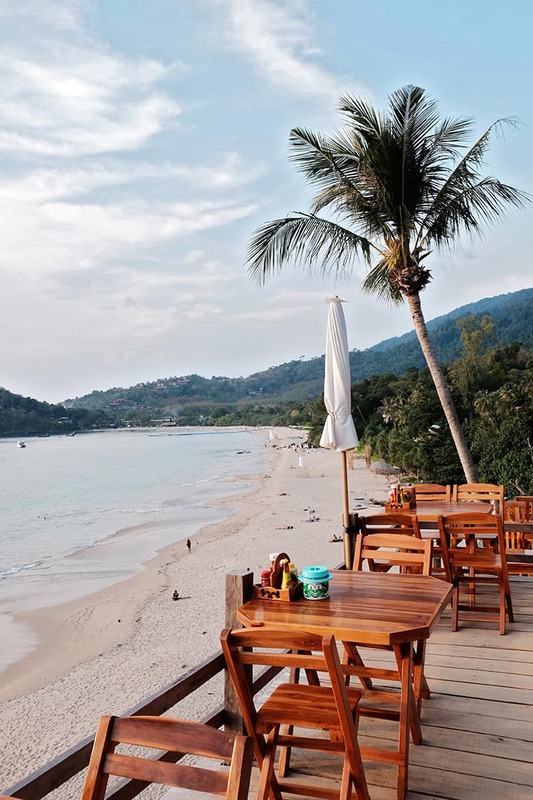 Or maybe just the quietest and most tranquil spot to soak up the sun – your search will always end up on the white sandy beaches of Koh Lanta. And these beaches are the spots to be for sure! 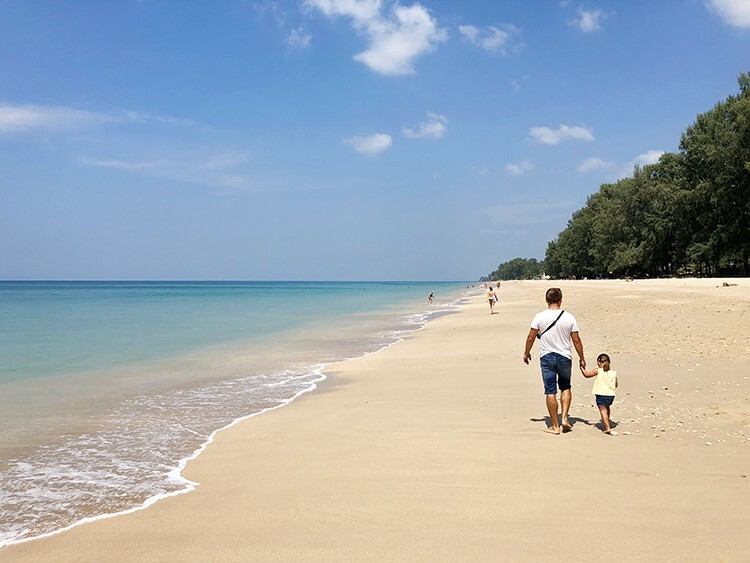 Of course, there is plenty of other things to do on Koh Lanta besides beach hopping, find our list of what to do on Koh Lanta here. Now that you know which beaches you would most like to visit, it might be a good idea to find some accommodation close by. Click here to see our post on where to stay in Koh Lanta. 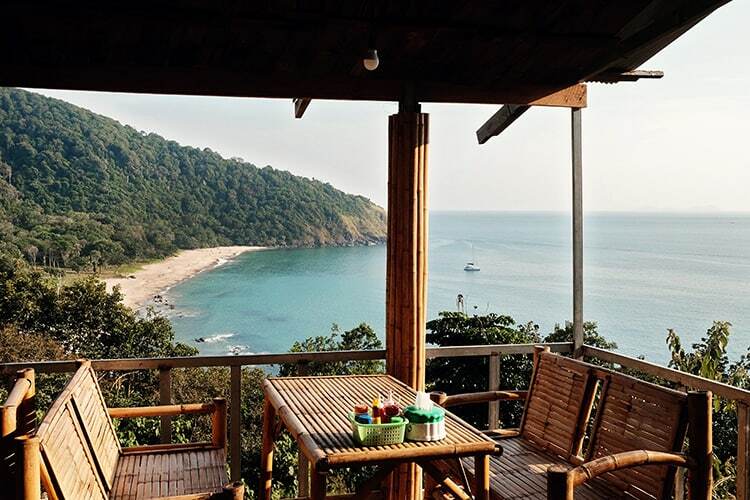 Have you ever been to Koh Lanta? Which of these beaches do you see yourself lazing the days away on? Did you find any beaches to be better than these ones? We’d love to know because we’ll definitely be back!